Well these are just a tad Squeak-tastic! Made boy and girl Mice with my versatile Mouse patterns! Change the fabric from cotton to fleece for a different look .. try regular minky for a snugly mouse too! 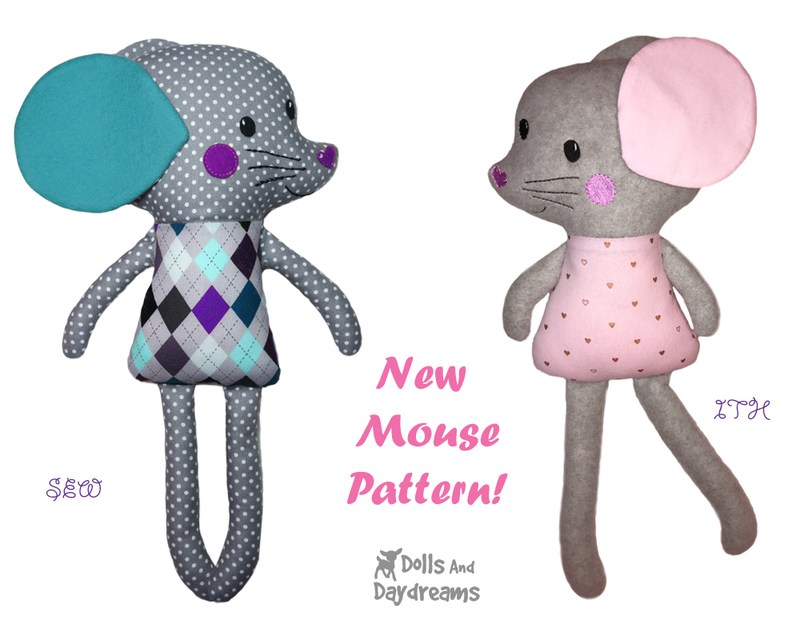 New Marvelous Mouse Pattern is here! ★ Super cute Dress Up Friend you'll love to make! Find the ITH Embroidery Mouse Machine Pattern Here! ★ Let's have some Squeak-tastic Sewing Fun! 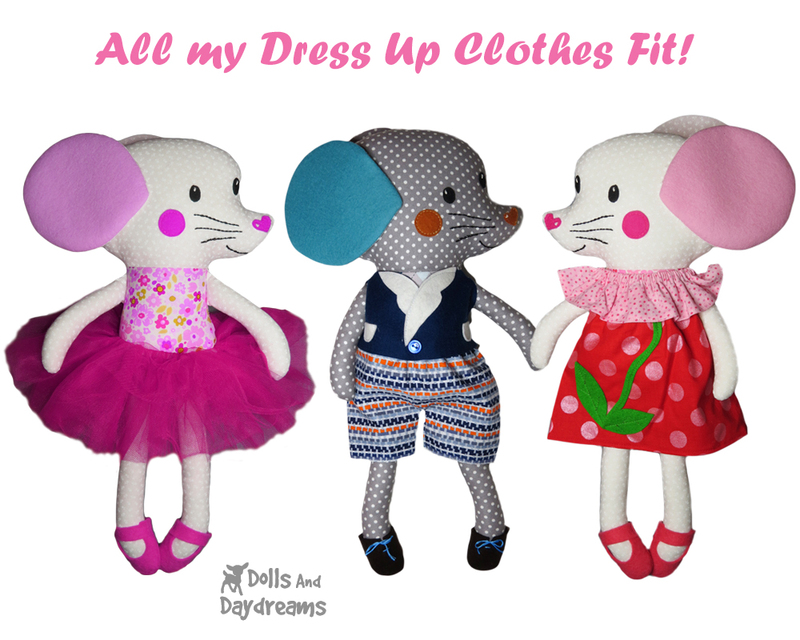 Find the Sewing Mouse Pattern Here! Plus both the ITH and Sewing patterns fit my Dress Up Clothes!! Hooray!! So much fun!